Superdry men’s Flex 360 Bonded track jacket. 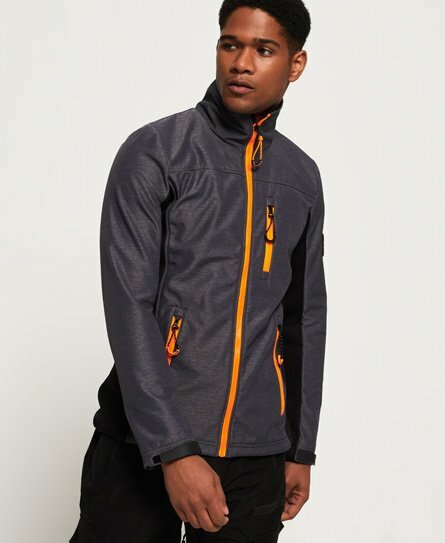 Part of the snow range, this jacket features a single layer zip fastening, three zip fastened front pockets, one with headphone routing, and one inside zip pocket. This jacket also features panel detailing, a bungee cord adjustable hem and hook and loop adjuster cuffs. The Flex 360 Bonded track jacket is completed with Superdry Snow badges on one sleeve and an embroidered version of the Superdry logo on the back of one shoulder.